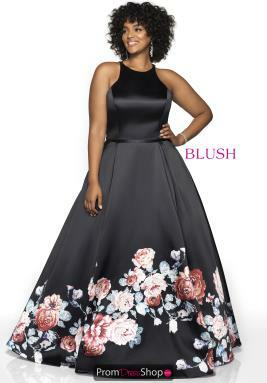 Blush Prom is one of our distinguished designers that now creates the same colorful and unique looks in full figure sizes, Blush Too. Whether you are looking for a striking mermaid silhouette or a princess ball gown, Blush Too has you covered in any size up to 30. Show off you curves in a fitted style with a dramatic train or cinch your waist with a breathtaking a-line gown, if you are specific about the neckline you are looking for, no worries, Blush Too showcases a vast variety from strapless sweetheart to high illusion with cap sleeves. Visit www.promdressshop.com today and find your favorite Blush Too dress and get Free ground shipping.